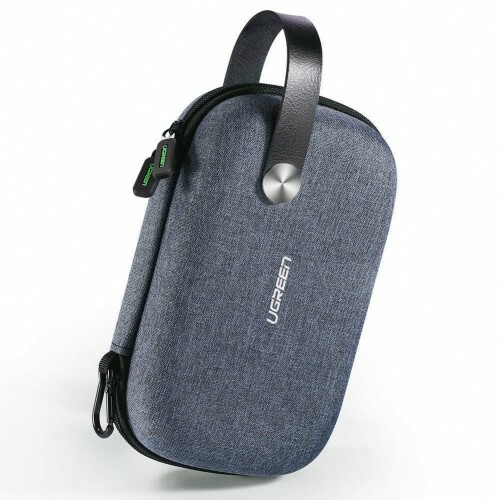 UGreen Travel Storage Case Gray is good to protect your electronic accessories against rain, water, shock and falling. The double metal zippers ensure security to your items . In addition, the inner part is made of soft velvet that is perfect for preventing scratches or other damage during transportation. Great little travel bag for keeping all your objects well organised and secured. 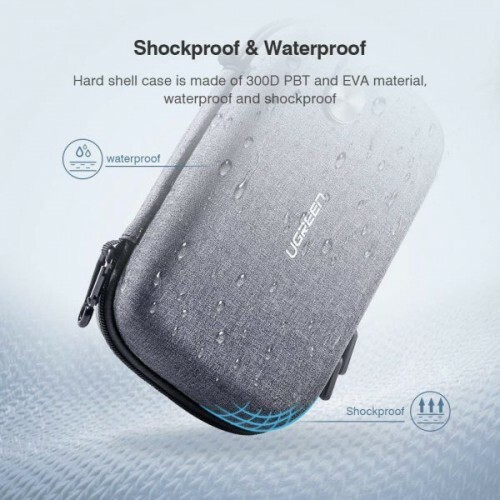 The dimension of this small travel carrying case is 20.3L*12.9W*7.2H cm. 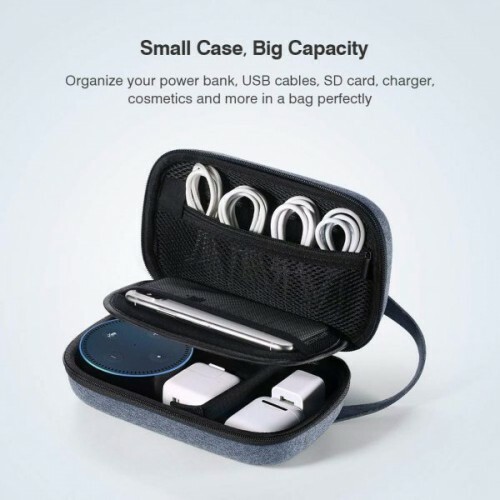 It is of reasonable design and perfect for travelling by keeping all cables, electronic gadgets and cosmetics in the same place making them easier to find. 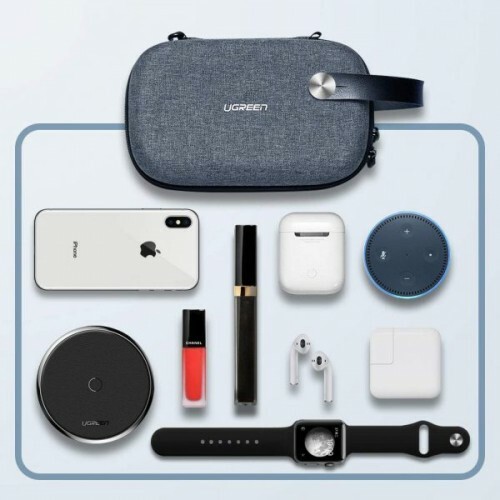 A great way to end up the mess in your travel bag and keep all the little gadgets well organised. It is offered with excellent quality. Besides, we still offer 18 months quality warranty and long life customer service. If you have any question, please email us. We will answer to you within 24 hours.The flexible band allows you to adjust the division of the room based on the size of devices.Really useful for light travel.